The Sony piece was too dumb to even comment about. Full frame lenses are too big? Welcome to 1998.
http://mutable-states.com/false-dichotomy.html (there is some bad language in this piece, sorry). I had avoided reading the piece because I thought it was going to be another one of those meditations on image capture vs. "being in the experience", but instead it was even shallower. 1. I don't want Google/Facebook/Whoever to actually store my raw pictures in a way that allows them to use the content for their own nefarious purposes. They are my pictures and I have a personal attachment to them. They can have my dumb messages and e-mails between me and my friends. Nothing important is really going on there, or I would not give it to them. 2. The workflow is inside out. The further away the picture gets from the device that shot it the more selective I want to be about which pictures go down that tube. This is perhaps an out-of-date attitude, but the whole point of photography is in the editing. If you are showing everyone everything then you are not doing anything interesting. Having a computer edit for you is even worse. I bought a small mirrorless (Olympus OMD-EM10) as a back-up to my Pentax DSLR but we gelled so well that it's now my main camera. A lot down to the small size, a lot down to the EVF. The lesson? It isn't SLR vs. mirrorless, or canon vs. nikon, it's finding the camera you bond with. That's why camera stores are so important, you can go in and pick one up and heft it in your hand and put it up to your face to see if it works for you. I would make a comment but I stopped mid way in the article. (I wanted to finally be average). But nerds that are interested in making pictures will continue to do so, will continue to argue over the resulting artistic and/or technical merits or failings, along with the various differing views on equipment and storage methods employed. And all will be all right with the world. Arguing about cameras is weird and tiring. To me, cameras are like women, can't you fall in love with a whole bunch of them? 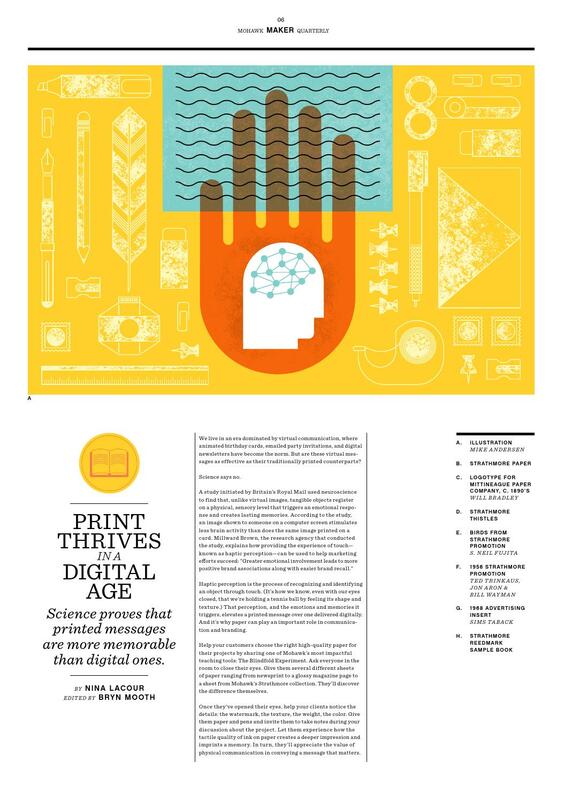 > Science proves that printed messages are more memorable than digital ones. > We live in an era dominated by virtual communication, where animated birthday cards, emailed party invitations, and digital newsletters have become the norm. But are these virtual messages as effective as their traditionally printed counterparts? RE: Twoot. I don't tweet. Facebook already wastes too much of my time. I don't need another time waster. Mike, I loved your take on cameras. I'm astounded by how good they all are. Different from each other and all somewhat imperfect, but, nonetheless, all good. You are the voice out in the wilderness, well, rural New York at least. The NY articles goes many directions, and seems unfocussed to me. I took the effort the read the whole article before commenting here, but I really wanted to stop after this "The suite can transform modestly good photos into magical ones." I first guessed it's about how the masses use photography in communication and social media. But that's not related to Nix software, and not new at all. Then I thought it's about how Google acquires and drops software (or subsdivisions). But it happens alot, be it for Picasa and Boston Robotics recently. But that's the life of what conglomerates do, and doesn't really represent the activity of the end-user. Then I thought it's about a piece of software becoming free, but well, how many amateurs do pay for pricy software? For sure though, when the license price went from 500 to 149, many people must have bought instead of attempting to use it without paying (possibly generating more total revenues). But it's another issue again. It can't be about postprocess as smartphones are tools that can do that. I sometimes use Instagram to only PP a photo, without sharing it. In the end, I think it's about cataloging, or maintaining your archives of thousands of photos? In this case I think I agree with the author: it... has to be done and it's super time consuming and annoying? I've a few dozen thousand photos at home, on hard-drives but without proper cataloging (with keywords...) to actually use them all better. It's my issue #1 with my photography today, and I've to solve that for the sake of being able to use my corpus for the upcoming decades. And indeed it was the same issue with analog photographers who shot thousands of rolls. So more & more people have thousands and thousands of photos in cloud or local storage than before and that... means they look at nothing? Arrrrg, still not getting the article. Except that it does sound condescending to amateur photographers, as usual (meaning, those of take "selfies"). To some degree we already take pictures in place of looking and experiencing. Last fall, I was sitting at an overlook on the Skyline Drive, which is just a few miles from my house. During the half hour or so that I was there, a dozen cars pulled in, rolled down the window and snapped a phone photo. No one got out of the car. The average "visit" lasted less than 30 seconds, and sometimes the car did not even come to a full stop. No time to feel the mountain breeze, no time to smell the trees. But they were there. They have photos to prove it. I found Malik's piece frankly kind of thin, and a little too much on the Google-Fanboy end of things. Google Photos is moving quite quickly, and working minor miracles. It's still pretty bad at what it does, but presumably that will improve over time. Malik and Google are both missing out on a fundamental piece of the puzzle which is that once you've automatically organized all this stuff by Birthdays or whatever, so what? You have to be able to do something with that. First, you really need to be able to make a manual pass over the automatically generated Billy's Birthday Album to remove the picture of a goat that google inexplicably added, and the pictures where mom is making a weird face, and so on. Second, you've got to be able to do something with Billy's Birthday Album other than share is on google+. What if I want a book or magazine printed? Can I one-click this into a Ken Burns-ified movie that gets shoveled out to youtube, or burned onto a DVD and shipped to Grandma? Can I one-click it into an 11x14 collage that gets printed out at the local drugstore where I can pick it up for $17 tomorrow morning? Invent new stuff. There's got to be more here than simply "well, I guess I share it on my preferred social media platforms?" or the whole enterprise collapses due to a) no revenue and b) terminal customer boredom. As to the Sony review. All it takes is money...to purchase, use and then, discard. reading ..."oranizing your vacations" and then thought, "what's a vacation?" I have have never had a vaction never being able to afford to take a vacation. controlling my images, somehow that smacks too much of big brother. You Yanks can get Google, I shall do this organization my way, until the end. Mind I don't own a cell phone either. Mike....the tweets alerting folks to the new articles on this site are something I have been waiting for. Just great. One thing I would do if I were you though.....get rid of the default Twitter icon (which is an egg) and replace it with an online photographer logo or anything other than the default icon Twitter pumps out. I haven't read the Sony article yet. Who died? "741 comments at PetaPixel (and 11,984 shares), and the top thread at dpreview"
Mission accomplished. And that's the reason why "most Internet readers read only the first half of every article they read": we've learned that most articles on the internet are little more than click-bait, tease, come-on, agitation, etc. Take those away and what remains falls under the usual bell-curve of quality. You're much too modest, Mike. Your readers read each TOP article twice, not because we're better but because we're greedy and otherwise starved for substance and quality. I followed a link in a tweet to the PetaPixel article. My reaction after reading the entire article (see what I did there?) was yet another example of "Why Apple is doomed." leaking into other industries. People continue voting with their wallets despite the doom and gloom. Re: Petapixel rant: Oh please. My Sony A7RII and A7II are the best and most versatile digital cameras I've ever owned or used. By a canyon-size margin, no less. That includes Canon, Leica, Fujifilm, Panasonic, Sigma, Olympus and, yes, PhaseOne. Move along. Time is better spent looking at that author's adolescent collection of girlie images. Re: Google/Nik: Yes, I agree with the author that Google has changed its imaging strategy since it bought Nik. Google wants to cut the cord to the rather costly-but-futureless desktop image editing software world in the most humane way possible by letting the plug-in suite fend for itself. I salute their apparently thoughtful strategy change implementation. You provide some very valid analysis of the Petapixel piece. Now if the mirrorless industry and so many of its adherents (and I write this as someone who has enjoyed using mirrorless cameras), would just stop telling me that one of its advantages is that the cameras are smaller and lighter than DSLRs. I switched to M4/3rd's once I found out you can set a mirrorless function to focus on a face, and no matter where the face is in the frame, it will focus there. "...an optical finder would be a downgrade." No truer words spoken! The above comment "The average 'visit' lasted less than 30 seconds, and sometimes the car did not even come to a full stop" reminds me of when I lived in Hawaii in the 90s - and one day watched for a spell as bunches of tourists drove up to an amazing waterfall on the Hana Highway (Maui). Most snapped a picture from the car and drove away without getting out. And yes one or two were "drive-by shooters" who took a picture without the car ever coming to a complete stop. They must've been in a real hurry to get to the next overlook. I guess if some of those folks want to upload their photos to the cloud and let Google organize their vacation albums, they won't mind that one bit? I recently sold a Fuji X-T1 and the (large) zooms, 16-55/f2.8, 50-140/f2.8 and 18-135/f3.5, and now I use a Sony A7R with 4 legacy prime lenses (all leica m mount) plus the Sony 28/2. My backpack now sits in the closet, and I use a fanny pack. To Om Malik I say, as the old joke goes, "What do you mean we, Kimosabe?" "... a wistful effort to exercise human control over a task machines have taken over from us." It's all about algorithms. Like it or not, a well written algorithm is better than you are at preforming a task. And with the advent of machine learning robots/whatever can preform multiple tasks better than you can — self driving cars will have fewer accidents than human drivers. Sator's article on the Sony is a little silly but the essence of what he actually does say is true, Sony does go on about the full frame mirrorless being smaller and lighter than its dslr rivals which as Sator points out, it isn't. For the Sony to be smaller or lighter it has to use slower lenses. So in reality Sony should advertise that the A7 series is smaller, lighter & Slower. Not going to happen! I am really disappointed to hear that Google is likely phasing out Nik software. Perhaps they can be enticed to let go of the software suite since they don't intend to update it any further. Surely someone out there would see a value in the product like current companies continuing to produce silver based film and paper. In response to Edd Fuller: That's called a 'Drive By Shooting'. Om Malik's essay makes the assumption that photos are primarily for saving long-term memories: he worries about organization and finding things later. But as he himself quotes, there is a new visual language where photos are used ephemerally: you use it to say something that's meaningful only immediately, and then promptly forget about it. Why does that sound familiar? Because we're all literate and can read and write words, and how many words are generated per second by the human race? Did that at all diminish literature or the breadth of human expression? Let's make the tent bigger: photo nerds as well as Snapchatists should be welcome! "Re Sony: Want a 'full frame' camera with an EVF? You can pick the Sony, or...oh wait, there isn't anything else." Actually, there's the Leica SL, which seems 'not really smaller than a similar' ...medium format kit. I love the flip out screen. Reason is that i can turn it around and close it on the body so that its protected. 1. Here's a list of all the reasons you are allowed to have for liking the Sony. 2. No other reasons are permissible. 3. And these reasons each do not apply. 4. Therefore you are not allowed to like this camera, and Sony is stupid. My solution to having too many people taking photographs and nobody looking at them was to buy a printer. Now my house is full of prints by Yours Truly, and my spouse and I look a them every day. Works for me! If you want to eye-focus a lens outdoors after the sun goes down, or, in a dark interior, an EVF is very nice indeed. For all other situations, I recommend upgrading to an good optical finder. I thought he was writing about Leica SL. To me, 4/3s needs to be small. I would not buy a big m4/3 body, or a very big lens. I used to have E3. Now I have E620. And that just to use my biggest 4/3 lens, a 2/150. It is a big lens but then it is a 300mm equivalent, and quite compact for that. EM5 is a bit too small in size, but with an additional hand grip it is just right. Full frame camera would be bigger, just like Mamiya RB or RZ is bigger than Hasselblad 500. I travel between 160-210 days a year, and have for the past 15 years. I do buy my gear based on size and weight. But that's just me. There is no free lunch, no free software, and no free storage. Google is in business to make money. If they are not charging you directly how are they generating revenue? Keep that in mind as you upload all your photos. The Sony article is just silly with all its inaccuracies in errors. as an anecdote, I'm a Nikon user, but recently bought a Sony A7R II to see if could in the long run replace the Nikon. So far I can say that both systems have their strong sides. One way I use the Sony is by mounting an adapted Zeiss 50 on it and shooting. The combination is vastly smaller than a Nikon with comparable image quality and I can focus it accurately manually in a short time. Those are significant features for me, but of course if one wants to photograph birds with a 600/4 then the Nikon would probably be better suited. The fanboyish part was comparing a Sony to a Fuji and omitting the part that the Sony will gather more light and in practice provide superior image quality, regardless of Fuji's aperture advantage. The question people really should be asking is what do they want from a camera rather than what do they think people on the Internet want from a camera. Re the Sony FF brouhaha: Food fight! As I commented recently (can't remember the post), the future will be editing (or bothering to) and not in the taking, where the art will lay. Continuous steaming, and surgical, or App reliant, extraction of the pertinant points in time. Although it sounds easy, even exciting, the reality is it will still come down to the value of people. People caring, doing, investing and showing talent. It could be argued that with all of the tech around at the moment, photography should be too easy and dead or dying now, but it still has its "higher plane" to strive for. We aren't done yet. Maybe the golden age of the modern street shooter still has some legs? Leica SL, the Leica Q, and the Leica M typ240 come to mind. I think a lot of folks are rather missing the point of Om Malik's NYer article. Stephen Mayes made a similar point four years ago in this very techno-utopian Wired article but he still has some good points in amongst a lot of woo. Most photography for most people today is about a camera and a networked smartphone. It's the merging of these two devices plus the addition of various social networks to share the images with others that's different. This is a very different style of photography than the readers of TOP (men of a certain age) generally engage in: take images; go home; edit and select images; process images; present images in some way (perhaps as an object. Mayes: The way we relate to imagery is changing. Our new relationship is less about witness, evidence and document and much more about experience, sharing, moment and streaming. I'm not sure that last statement is true. I think both are still important but now we have the second part ("experience, sharing, moment and streaming") that we didn't have before. It's additive not substitutive. What the smartphone adds are applications (so you can do whatever post processing on the device) and an internet connection to distribute the photographs to social networks. This is not a difference in photography but in distribution of photographs and the context of their distribution. That's the crux of this discussion. Interestingly, you can do the same with any camera, including film, and a computer with an internet connection but it's (much) slower and takes more effort and it doesn't have the same impact. Speed is important in transactional photography. You can distribute photographs faster on a social network to a larger number of people than you can putting them on a cafe wall or making a photobook. We find images like the Tsunami photographs from participants are so immediate is because these people were present and they were present over the place (there is more than one of them). They are witness to the events and we witness the events through them. We end up interacting (in this case) with the stream of images from all the people not just an interacting group. An example of documentation occurs in a recent show I watched "Weirdest Weather" mixes cellphone video of odd weather phenomena and experts explaining what those oddities are. Some of well known but rare events. We have lots of videos of these "rare" events now. What's even more interesting is some very rare (i.e. so rare that no one has really known the phenomenon exists) so the images document things that haven't been studied before e.g. "dancing clouds" which are (most likely) aligned ice crystals moved around by changing electric above thunder clouds. This is all down to a second part of the "smartphone" revolution: it's always with you to document the world. Pat your pockets before you leave the house: keys, wallet, cellphone. You can imagine a DSLR with internet connectivity and even apps to browse social networks and post images but you wouldn't carry it "everywhere" with you. You would have great images when you take them but the camera wouldn't be there ALL them time. When you have it there you can use your photographs to interact with the group. It's also our love of novelty in a social environment ("Did you see this?") that drives this. Now people are more likely to create their own images and share them some start to make an effort on the aesthetics of the photographs (those ones that are young and conscious about branding themselves on social media mostly) by copying other aesthetic styles they see. In addition to rapidly distributing your photographs you can also interact with your audience and they can interact with you (perhaps by posting a photograph). This is "the transactional model of communication". The stream of photographs allow a group of people to build shared meaning around those images. This assumes reciprocity in the group. It's not a broadcast model like placing photos on a gallery wall or in a photobook. You have to listen to your group too as they're not just an "audience" passively receiving your magnificent images. This is where the idea of experiences comes from but that doesn't make photographs experiences (as photographs are still photographs). Its about having shared experiences with other people that are mediated by photographs. That doesn't sound as pithy or utopian but it's clearly describes what he's talking about. The next step, that Om Malik writes about, is when you take lots of these photographs you really need some help to organize them. Doing it by hand is not going to work. It's going to need deep learning AI. That's where the future with systems that can teach themselves to do things. You did hear about the Google Go player beating the Go World champion? That's a singular moment in AI. I strongly disagree with the statement that "we are all taking too many photos". On the contrary, we are taking about the right amount of photos. For various technical and economic reasons, people in the past took far too few photos. I wish we had many more photos from the past. Well in my attempts to try and use anything that passes light mounted on my Sony A7 I can tell you that any lens with an exit pupil more than 300 or 400mm away from the sensor can cause some corner darkening. I don't find that to be that much of a problem and the Leica M mount is worse. Anyone planing to use a 300mm apo Ronar for 1:1 work should keep this in mind, not that that would stop me from trying of course. Sony is dabbling in the camera business. Every six months or so they introduce a new model, and if it works then they sell as many as they can and then make a new one a year later. Sony's idea of design is much like cooking spaghetti: you take a piece from the pot of boiling water, then throw it against the wall, and if it sticks you are done. Sometimes that strategy creates a winner that disrupts the market like their NEX-7 and A7 series. Sony has gradually improved their portfolio of lenses too and with the introduction of the G Series their days of co-branding with Zeiss may come to an end. In terms of sensors, Sony is in first place and you will find them in: Nikon, Olympus, Fuji, Apple and Panasonic products. Sony dominates the sensor market. No fatal mistake here. I'll believe that these cameras are fatal when they start killing photographers. They're certainly not doing Sony's bottom line any harm. How the hell did we ever manage to take photo images before the latest editions of hardware came along? "Many a statistician has drowned in a river whose average depth was only 3ft"
If the average reader reads half of the average article, she probably reads all of 10% and only the first line of the rest. Why? Because internet articles are struggling desperately for clicks, and so they court controversy with inflammatory hypotheses. The reader gets sucked in, clicks through, realises there is no real content, and leaves. Occasionally, someone taps into an existing reservoir of passion, such as "My Canon is bigger than your... errhh, Nikon" and the small proportion of obsessives read to the end. And comment. And defend their comments, and so on. I have some sympathy: much of the photo-media dutifully puffed the Sony for being small, which is irrelevant when you hang a FF lens on it. Especially if you listen to the pixel peepers who tell you at least 1kg of f1.4 glass is needed to do justice to all of those pixels. As is a 4kg tripod. I'm sure that the Sony is a lovely camera,and that it is doing its bit to keep the economy turning and the wheel of progress oiled. If I was senselessly rich I might buy one just to play with... but as it is, my Pentax and my collection of new and old lenses is plenty good enough for what I want to do with it. Did you know that a K3 is almost the same size as an OM-4? "I think a lot of folks are rather missing the point of Om Malik's NYer article." I completely understand the difference between the sort of immediate sharing that you get with cameras that are on the internet and the more selective methods of traditional workflows. I even participate occasionally by sharing quick snapshots of things I see on twitter. I think that this is a perfectly fine way to use the new tools. But it's not the only way. While I think that the Malik piece doesn't really come out and say it, there is an implied idea that in some dark future this *will* be the only way we interact with photographs. And I think that's nonsense. "The next step, that Om Malik writes about, is when you take lots of these photographs you really need some help to organize them. Doing it by hand is not going to work. It's going to need deep learning AI." I bet even the most avid amateur instagram user doesn't shoot as many pictures per hour as (say) the Sports Illustrated guys do at the Super Bowl. But those are all edited down by hand. Editing and organizing pictures is easy. The real work is doing the same for video. What a nightmare. Anyway, I'll continue to process pictures slowly (but not *too* slowly). As I said before I have no real interest in having some fool computer program pick out what it thinks are the good ones. Oh no. That is so true. We've been so caught up with taking the pictures with our gadgets and we actually fail to appreciate the beauty with our own eyes alone. I'm a Sony user at present and I agree they have got stuff wrong , but not the technical choices outlined in the article. It's the little things - Sony could have putt a simple AF/MF switch on the lens or body; they could have given me a distance scale on the otherwise stunning 35/2.8 and 55/1.8 lenses; they could have made removing and strong the door to the battery compartment easy wench using the vertical grip; they could have given us a spare battery and a charger in the box; The lens mount could have ben robust and light tight from the off. The mark II body shape could have been slightly taller so the repositioned shutter button didn't cause the little finger to still be off the bottom of the camera... I could go on. Trouble is none of those things count for much against all the hype of an extra few megapixels or 1/8th of a stop extra DR. That's what's wrong with Sony from where i'm sitting. Recently I've had to use a Canon 5D2 then a 5D3 to make a few pictures and dammit they just get out of the way and let me make photographs. This simple feat is one that my Sony's haven't quite managed. I wonder if the knucklehead writing about Sony's mirrorless being too big has ever encountered a view camera. He strikes a rather worrying note about our "enduring photos" ... and he's not talking about print longevity. I'm amused at all the comments about the fake latin. I got into publication on the tail end of hot Metal, the 8x10 view camera of typesetting, and their replacement was what were called strangely cold type machines.There was a key that when pressed would set a huge page of this stuff, that was called Greek.Yes, seemed strange to me too.